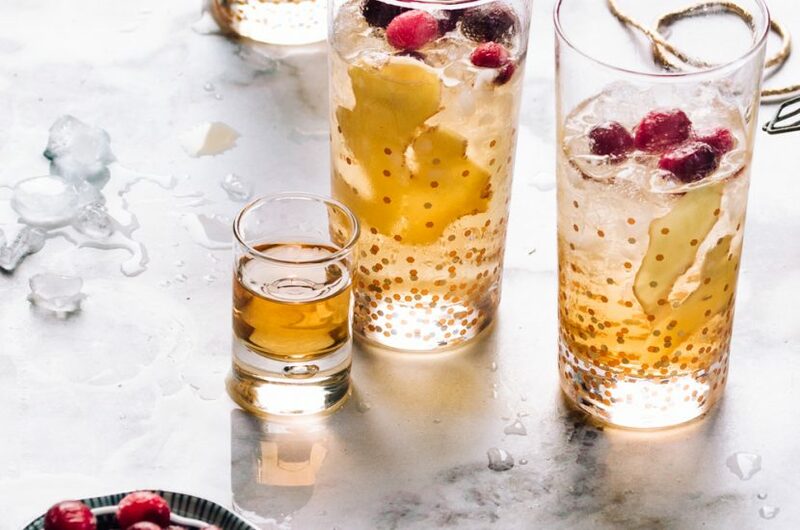 A bubbly bourbon cocktail recipe with a simple-to-make spicy ginger syrup. 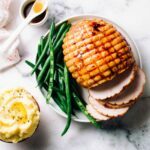 It’s the perfect blend of spicy, sour, sweet and bubbly. 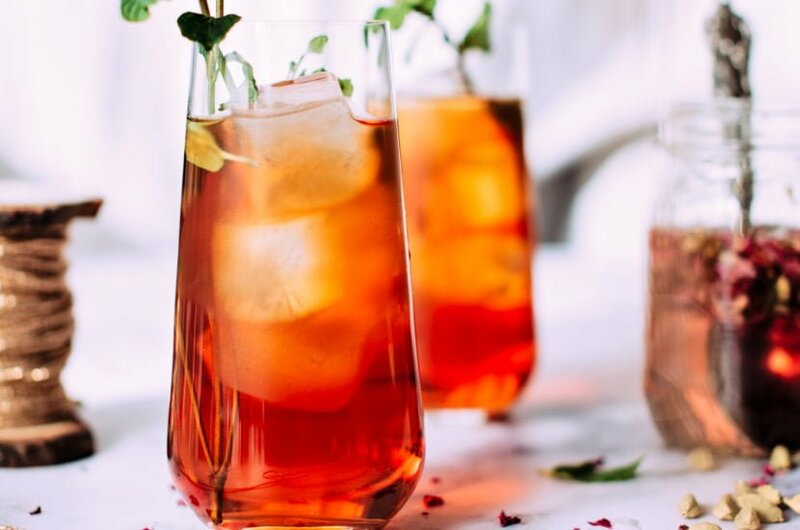 Persian tea-inspired rose and cardamom cocktails with an easy homemade syrup. 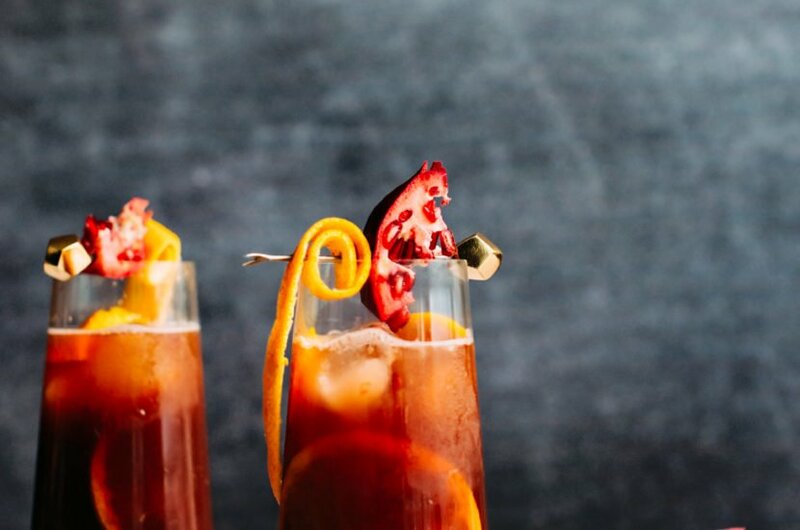 A red wine Christmas sangria with orange and pomegranate, and a delicious and very festive ginger-and-cinnamon spiced syrup. 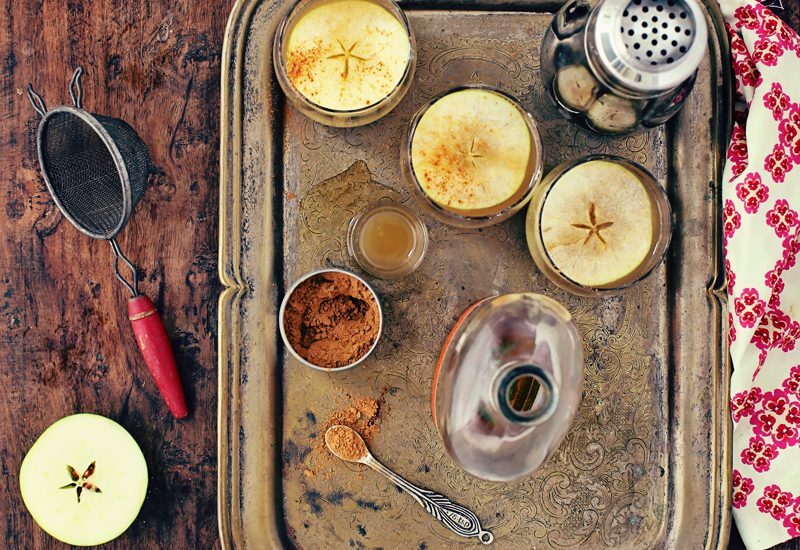 A delicious Holiday Spiced Apple Cocktail recipe, with the festive flavours of apple cider, cinnamon and bourbon – garnished with a perfect star. 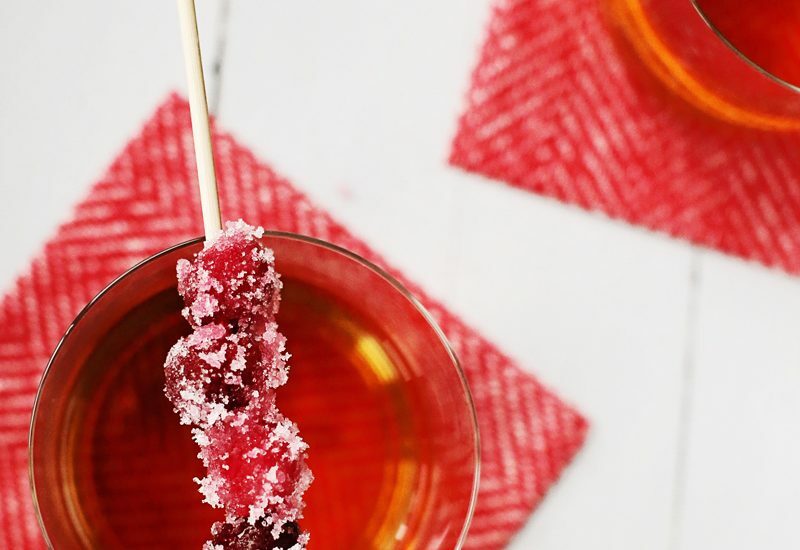 A stunning Christmas cocktail recipe with bourbon and sugared cranberries made Merry with a festive spiced ginger-cinnamon-cardamom syrup. Cheers!